Adapted from IceLab’s popular lunch pitches, we recently hosted an Open Project Pitch session at the KBC Cell Biology Symposium, May 30-31 2018. Similarly to the Lunch Pitches, speakers were asked to pick a problem, technique, dataset, or anything related to their research that they believe would benefit from external, interdisciplinary input. By focusing on the big picture of their issues, limiting the time they have to present, and giving them a a scientifically diverse audience, we hope to give the researchers involved a clearer understanding of their problem as well as unexpected ideas and potential collaboration opportunities. This session differed from our open lunch pitches in that every audience member and presenter worked on some aspect of cell biology – so there was at least that common language. Would this give a better outcome or limit the possibilities for innovative suggestions? We also embedded the session in a regular time slot, instead of over lunch as we have done in the past, and the discussion groups went to separate rooms due to the number of attendees. Finally, we had 4 pitches instead of the 2 we have at lunch pitches. It was challenging but nice to present the work in a more simplistic way to attract a bigger audience for possible collaborations. I had a nice discussion with several people and we are going to initiate some collaborations on membrane trafficking of the bacterial vesicles and toxins. Aftab Nadeem, Postdoctoral fellow. Potential cellular targets for MakA induced tumor cell death. I liked the need to focus on the big questions. Better instructions and some time for questions before the small group discussions might be good. It was a very interesting experience and I got several suggestions, such as testing the effects of metabolites produced by intestinal microbiota. Teresa Frisan, Professor. Molecular Biology. Bacterial genotoxins and their role as immunomoderators. It was a good opportunity to connect with people outside my research sphere. They suggested various experiments and techniques and people to contact who are doing connected techniques. 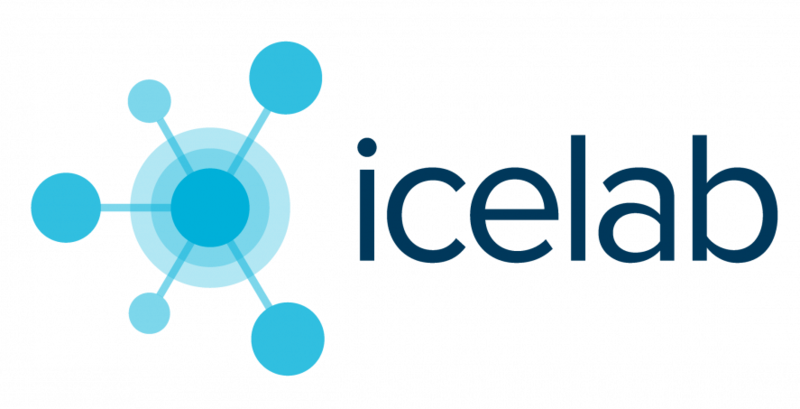 I don’t think too many people know about IceLab and how it can help them. Lots of biologists could benefit from this. Sara Wilson, Lecturer. Integrative Medicine Biology. How do mechanical forces shape the formation of biological tissues? Having to summarise a project in only 5 minutes really forces you to think hard about it to explain it in a simple way. It was also nice to get to see briefly what other researchers around are doing. Through discussing with researchers working in distinct fields, I realised that the FLIM tools I am trying to develop could be useful to study the formation of virus capsids. Sacha Escamez, Research Engineer. Plant Physiology. Deciphering the cell biology of natural polymer biosynthesis using dynamic Fluorescence Lifetime Imaging (FLIM). It is very hard to know how to cut out details for the speakers. As a result, pitches will go over 5 minutes length regularly. We need to be better at helping them prepare. 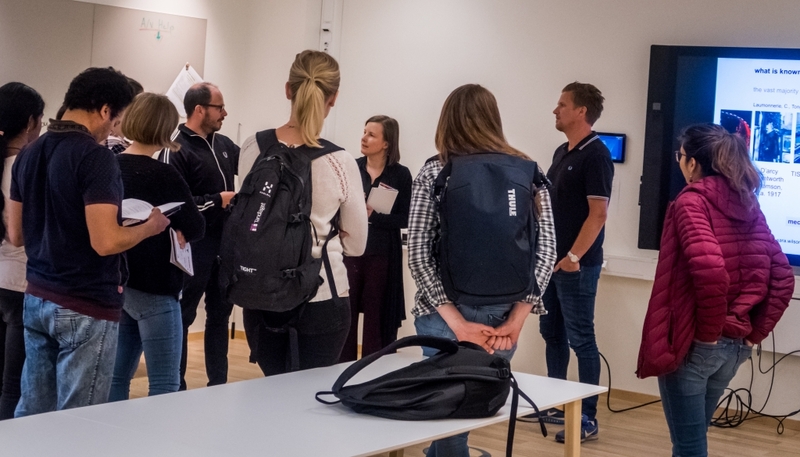 IceLab offers anyone at Umeå University the opportunity to get involved with our collaborative experiments – but most people aren’t aware of this! The larger scale created some unique issues: splitting up discussion groups in multiple rooms, for the 4 pitches, meant people couldn’t move between groups. We’ll have to think about how to deal with that if we do this larger scale event again – otherwise, our traditional lunch pitch format of 2 pitches and 2 discussions occurring in the same room is a good format. Would you like to join IceLab’s next season of lunch pitches? We are looking for pitchers now for the 2018/2019 winter season. We could also organize a special pitch session for your meeting, workshop or conference. Get in touch and get the ball rolling!